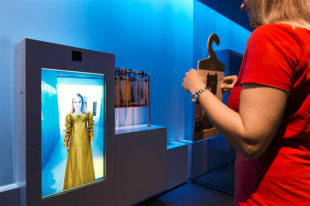 The interactive dress mirror allows visitors to virtually experience different dress styles on their own bodies. They can assume different roles or try out the fashion trends of bygone eras. To this effect, clothes may be catalogued by century and thus show changes in fashion. Also conceivable is dressing up in different types of work wear – an exciting role play, especially for children and adolescents. 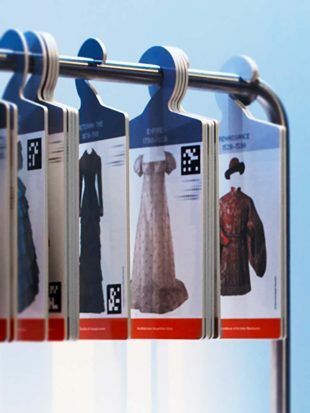 The process: panels printed with pieces of clothing are arranged on a rack. 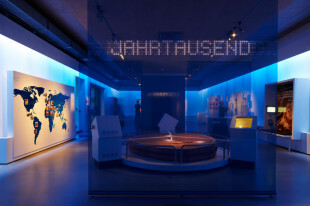 Visitors select a panel and hold it in front of them. On a screen, they can now see themselves wearing the piece of clothing. Augmented reality is the technology underpinning this interactive display station. Above the screen is a camera, recording and playing back the visitor. 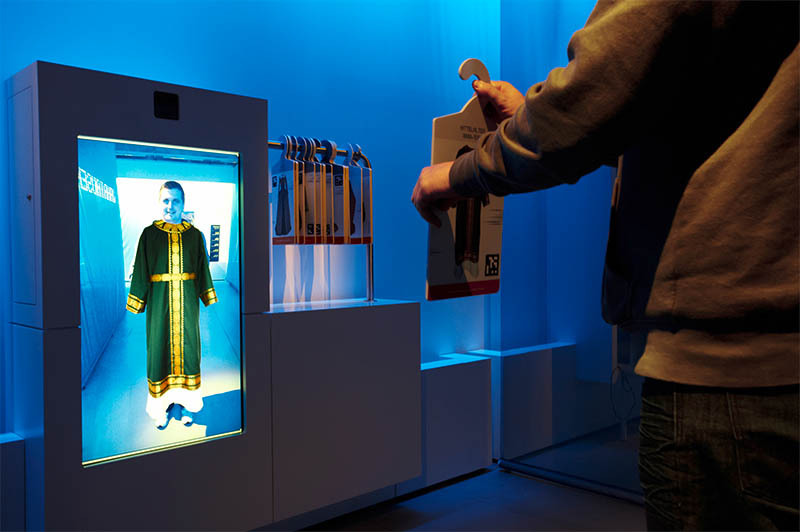 QR software recognizes which piece of clothing the person is holding in front of them, using the additional QR codes printed on the panels. The software now initiates the respective augmented reality animation. Details and prices on request.